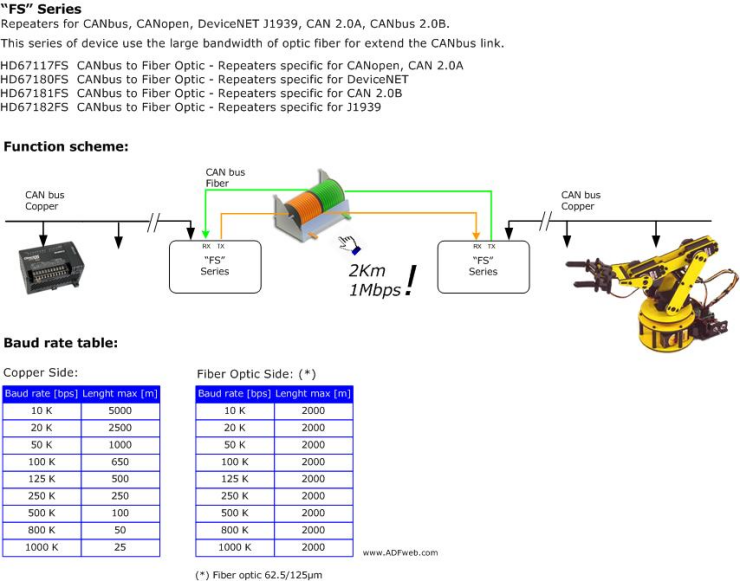 The F and FSX converters allows to convert in Optical Fiber all the CAN buses used in the common systems. The HD67221F and the HD67221FSX are CAN repeaters with filter data configurable by software. 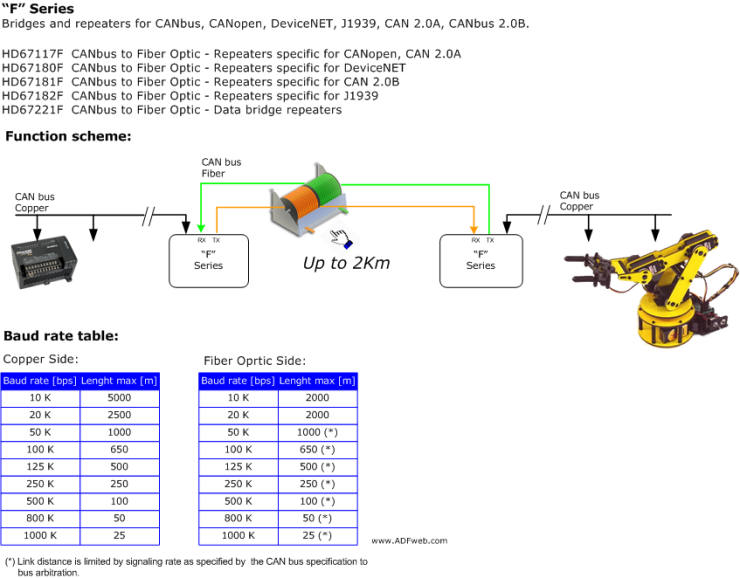 It means that it is possible to filter the CAN data and choose the CAN frames that can be transmitted or not. The HD67181F and the HD67181FSX are generic CAN repeaters that allows to extend a CAN network through Multi-Modal fiber optic. The HD67117F and the HD67117FSX are CAN repeaters, specific for CANopen protocol. The HD67182F and the HD67182FSX are CAN repeaters, specific for J1939 and NMEA 2000 protocol. The HD67180F and the HD67180FSX are CAN repeaters, specific for DeviceNet protocol.